Latest figures from GreenPak Coop Society show that 12,000 kgs of glass bottles have been collected from the daily collection service from bars and restaurants within a period of eight weeks between 10th August and 3rd October 2016. This is equivalent to 12 tons of waste which has been diverted from the landfill. GreenPak Coop Society commenced a daily service to collect empty glass bottles in three localities on a trial basis from August until 2nd October. This pilot project was very well received by the bars and restaurants and the service continued on weekends (every Friday, Saturday and Sunday) at 01:00hr, during the less busy period. The service is available to bars and restaurants along the seafront in Gzira starting from Manoel Island, and passing through The Strand, QuiSi-Sana, Tower Road, Balluta Bay, and ending at Spinola Hill. The service collects empty glass bottles and glass jars only. 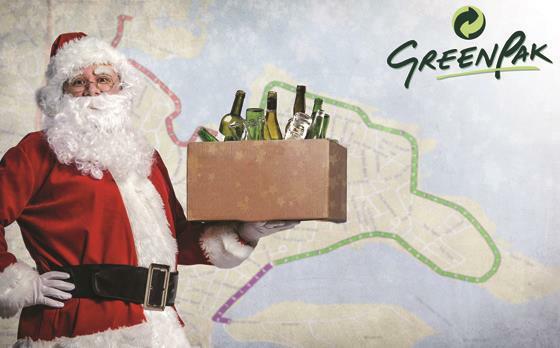 Daily glass bottle collections will resume in the same areas for the Christmas period, that is from 17th December 2016 to 2nd January 2017. The service is held in collaboration with the Local Councils of Gzira, Sliema and St Julians, together with the Cleansing Services Department. 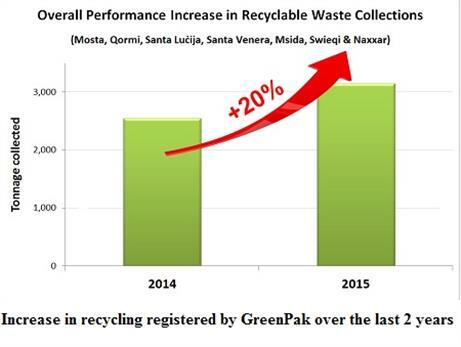 GreenPak adapts its glass bottle collections according to busier periods, such as at Christmas time and the summer months. From Friday 7th January 2017 the service will then continue on weekends (on Fridays, Saturdays and Sundays) only. 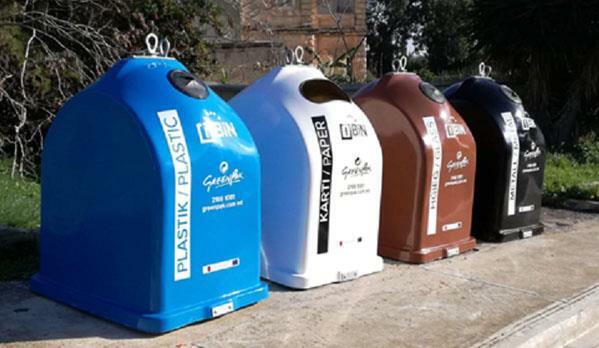 GreenPak Cooperative Society, which runs the largest waste recovery system in Malta, also runs the monthly service of its door-to-door glass collection from households and commercial outlets on the first Friday of the month. In Gozo, the same glass collection service is operated every first Thursday of the month. For more information contact GreenPak on telephone: 2166 0233.